I tend to buy cheap purses, which on the one hand don't cost much, but on the other hand, don't last that long, either! 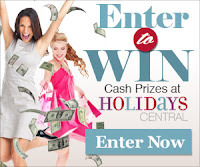 Enter for a chance to win one of your own! Then leave a comment - thanks! Maggie Bags are made using genuine automotive seat belt webbing built to meet government safety standards to protect you for the life of your car. Due to these high standards, millions of yards of seat belt webbing are rejected by automakers each year. Maggie Bags uses as much of this rejected seat belt material as possible in our products. Availability of rejected seat belt webbing can vary greatly therefore some webbing must be purchased new to meet the growing demand for our unique and stylish bags. However, our commitment to use repurposed seatbelt webbing whenever possible remains steadfast. Let me start this review by saying that product reviews have to be the most fun part of my job! I was so excited to get the opportunity to review a Maggie Bag! I have been reading all of the wonderful reviews that other bloggers were giving Maggie Bags and decided to ask (beg LOL) for a review of my own. I knew the bag was coming and knew what day I could expect it to arrive. That didn't make it any less exciting when the delivery man brought my package. GUESS WHAT!? It came right on time! I was very pleased at the lightening fast delivery! I grabbed the package and RIPPED into it before my kids took off with it. This bag is BEAUTIFUL! The pictures can't even do it justice. This bag is the brightest, most beautiful shade of orange! The inside of the bag is super soft and also beautiful and elegant! 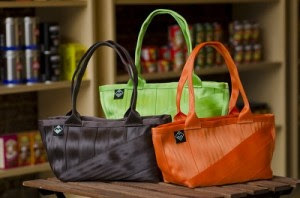 Right now you can get a discount on Maggie Bags: Use ThriftyMom15 This code gives 15% off Maggie Bags Premier Line until Feb. 28, 2013. This code is case-sensitive. Simply fill out the rafflecopter below for your chance to win! All of the rules are on the rafflecopter form. GOOD LUCK! I LOVE that they are repurposing seat belts... I love these purses... PLEASE PICK ME TO WIN!! Using rejected belts. And I'm a child passenger safety technician, so it's fitting for me to have a purse made of seatbelts! I like the fact that seat belt webbing is used and turned into handbags. What an original and fun idea! I love the repurposing of seat belts, what a great idea. I love the vibrant color choices of the MAGGIE bag. My favorite is the light gray. Wow, rejected seat belts is a awesome idea! Gorgeous and earth friendly !! I love how it keeps material out of the landfill! I like that it's big enough for my stuff but not bulky looking! They are beautiful and made from recycled materials! I love all the color choices, and it is cool that they are made out of recycled seat belts. The size is perfect for a petite lady like me! I love that the company started small, and has proven itself with a quality product that is made of recycled materials. I love purses with straps not handles. My favorite feature is that they are made of colorful seatbelts! I love that they are made from recycled materials and look so nice! I really like the seatbelt and it doesn't look tacky! So nice! I love all the storage and compartments! I love anything made from recycled materials, and this is beautiful! I love that it's recycled but still looks great! Love that it's made from seatbelt material. All the pockets! And it's a gorgeous bag! love that they used seat belt material. I love that these are made of recycled seatbelts, and I'd love to flash one around. I like that it is unique and made from a recycled product. I love the fact that they are made in various colors, not plain grey or black as most seat belts are. I love that the bag is made from recycled material; I'm all for less waste! Also, the colors are phenomenal! I love the size of this bag. I love that they're made from recycled material, but they don't look like it. They're so cute, no one would ever know their made from seat belt material!